Are there any people on earth who don’t want to be respected? There is none. The word ‘obey’ means to hearken to the command of an authority. Children are to be taught to listen to and to obey authority, especially the authority of their parents. The word ‘foolishness’ can mean: folly or mischievousness or it can mean to be hard-headed. The sin nature causes a child to sometimes be very self-willed and stubborn. The Bible says – “…a child left to himself bringeth his mother to shame.” (Pr 29:15) A major part of biblical parenting is to help our children learn how to resist that stubborn, self-centered will and to submit to the authority of God. Following a child’s obedience is their honor. The word ‘honor’ means to fix a high value upon something or someone. It means to consider something or someone to be precious. Children are to consider their parents to be precious. I’m sure that many of you parents have experienced a special tenderness in your children after a particular time of discipline. Once the sin was purged and the child was brought back into obedience, there was a desire to be close to the parent. The discipline brought not only obedience, but honor as well. By teaching our children to obey and honor authority, we are helping them to develop good character. It has been said that character is who we are when no one is looking. The goal of biblical parenting to raise children who will choose to do the right thing, even when no one is looking. II. Why Does God Require This of Children? Ephesians 6:1 Children, obey your parents in the Lord: for this is right. 2 Honour thy father and mother; (which is the first commandment with promise;) 3 That it may be well with thee, and thou mayest live long on the earth. The first question I often ask myself whenever I read the Bible is ‘What?’ What should I do? The second question is ‘Why?’ Why should I do it? Why does God require children to obey and honor their parents? Let me give you a few reasons. 1. It is the right thing to do. It is proper. It is fitting. Anyone who has ever had to be around a disrespectful child knows just how terrible that can be. Children need to be taught to respect authority because it is just the right thing to do. 2. It is the righteous thing to do. Whenever I talk to a child about their salvation, I often ask them about their obedience of their parents. If you put Ephesians 6:1 and Colossians 3:20 in their proper biblical context, you see that a child’s obedience and respect of their parents is a part of their new nature in Christ. A Christian child who does not obey and honor their parents is displeasing God. They are living in disobedience to the will of God. In scripture we read of young men like Joseph and Daniel who had exceptional godly character. Even though the authorities over them were not believers, they quickly recognized that there was something different about these young men’s character. Both were successful because they exemplified godly and respectful character. God will bless a child who honors and respects their parents. Paul says that it is a promise. 3 … and thou mayest live long on the earth. Part of this longevity of life comes about as a natural consequence of our children learning to make the right choices. 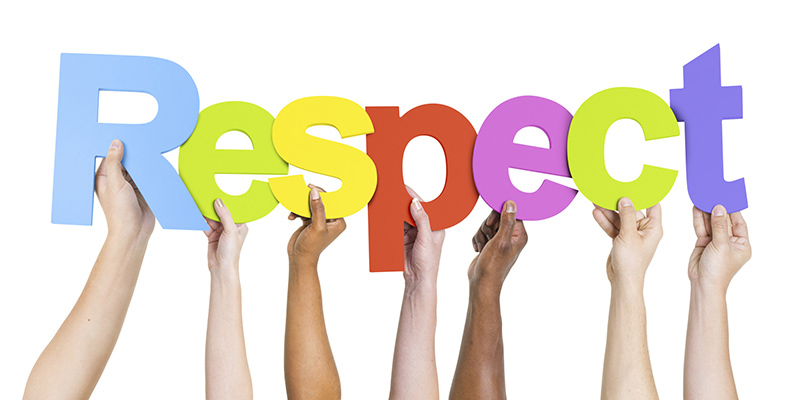 A child who learns to be respectful of their parents will most likely be respectful of other authorities as well. This can keep a lot of kids out of trouble. This longevity of life can also be due to the fact that God will grant these children special blessings. In the Old Testament, a child who was disrespectful to their parents was to be put to death. That seems severe, yet it highlights the importance of children learning to properly honor and obey their parents. A child who does not learn how to honor his earthly parents will have a hard time learning how to honor his heavenly Father. The Bible teaches us that a sign of extreme sinfulness is children being disobedient to their parents. (see Romans 1:30; 2 Timothy 3:2) It is grouped in with sins such as: envy, murder, hating God, blaspheming and being unholy. III. How Can Parents Help Prepare Their Children? The Bible teaches us that children should honor and obey both parents, but especially their fathers. Why the fathers? Children should honor and obey their earthly fathers because he is Gods’ representative in the home. The father is a symbol of God’s authority. The word ‘power’ means authority or right to govern. God and God alone has supreme power and authority. All of creation belongs to God and is under His rule. Because God has the right to govern, He also has the right to govern however He chooses. According to this passage, God has chosen to govern through the delegation of His authority. To whom has God delegated His authority? Who are the social authorities in life? They are individuals like teachers and coaches. We never allowed our daughters to bad-mouth their school teachers. Whether it was at school or in church, we taught them to respect and obey their authorities. .
It’s estimated that at least 60% of what we learn, we do so by watching someone else do it. The best way for parents to teach their children how to obey and honor God is by demonstrating it before them. This includes how mother and father as individuals submit to the authority of God, and how they as a unit submit to each other in the home. 22 Wives, submit yourselves unto your own husbands, as unto the Lord. 23 For the husband is the head of the wife, even as Christ is the head of the church: and he is the saviour of the body. 24 Therefore as the church is subject unto Christ, so let the wives be to their own husbands in every thing. 32 This is a great mystery: but I speak concerning Christ and the church. 33 Nevertheless let every one of you in particular so love his wife even as himself; and the wife see that she reverence her husband. Worldly leadership is about lording over those who are under you. Christ-like leadership is about sacrificially loving others. Consider Paul’s teaching on how a man should live out his role as the leader. In God’s eyes, headship is about sacrificially loving those whom you are called to lead. Peter adds another important ingredient to the man’s role in the home. To honor means to place a high value upon something. Men are to place a high value on their wives. They are to treat them with honor. If we would continue to read on in 1 Peter 3, we would see that if a man does not honor his wife, God will not hear that man’s prayers. It is a great sin for a man to mistreat his family. Wives are called upon to submit to the leadership of their husbands. The word ‘submit’ refers to a voluntary attitude of giving in and cooperating. Whenever I cover this passage I always point out that actually the wife is doing more than submitting to her husband. She is submitting to the Lord. It is the Lord’s will for the wife that she come along side of her husband and be his helpmeet. I don’t know about a lot of you guys, but there’s nothing that humbles me more than for Tammy to say to me – “You’re the head of our household. What do you think that we should do?” That kind of respect doesn’t go to my head. Instead it humbles me. Not once have I ever been tempted to try to take advantage of her when she says that. Always I put her best interest first. There are few lessons a child can learn that will be more beneficial to their overall well-being than respect and obedience for authority. It will help them in school, at work, in their future homes, and especially in their relationship with God.